Mobile makes it easier to connect to people at any time and every place. Today, beacons are taking this concept of contact even one step further by making this reach much more rewarding to both brands and consumers. Beacon technology is based on using beacons to send location-specific offers and information directly to mobile devices. Beacons are already big among retailers and have started making their mark in the travel industry with airports, hotels, and airlines. TravelPulse.com shed light on what beacons can bring to hospitality marketing. The beauty of beacons is that they enable brands to communicate with consumers at a specific sales location to make offers more relevant to their real-time activities, which increases their rate of response. Experts say that beacon technology has been gaining momentum in recent years, but that beacons will see a surge of popularity in 2015. It is expected to make as immense of an impact on the travel industry as mobile apps have. Miami International Airport just introduced an app that uses beacons to help travelers find their gate for departure, as well as notify them via mobile about deals at airport restaurants and retail stores. Marriott International only incorporated beacon technology in July 2014, but the hotel brand has already implemented it in 14 of its U.S. properties. They created an initiative exclusively to Marriott Rewards members called LocalPerks, which sends geo-targeted mobile offers directly to guests throughout their stay to help them experience the local area. This is the first large-scale hotel loyalty program to leverage beacons, but it is sure to inspire many more. Beacons are also starting to take off among airlines. For example, Virgin Atlantic experimented with Apple iBeacon technology at London’s Heathrow Airport last year. The airline offered its Upper Class passengers the opportunity to receive exclusive partner offers while they waited in the airport. The airline plans to use the technology much more and in many different ways in the future. While beacons are designed to ease, enhance, and expedite the traveler’s experience, they need not worry about being bombarded by beacon offers, because their privacy is respected. 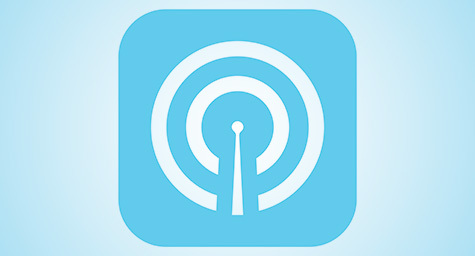 People interested in receiving different digital deals via beacons must first download a certain app, and then turn on their Bluetooth location services and the app’s notifications. Consumers must realize that brands aren’t trying to bother them with beacons, but rather present them with valuable offers and opportunities to get more from their current locations, anywhere in the world. With its ability to transcend borders and communicate with travelers at any place and any time, it’s clear that hospitality marketing is the perfect place for all that beacons have to offer. Discover the latest in hospitality marketing. Contact MDG Advertising today at 561-338-7797 or visit mdgadvertising.com. MDG Advertising, a full-service advertising agency with offices in Boca Raton and New York, NY, is one of Florida’s top hospitality marketing companies and branding firms. MDG’s core capabilities include advertising, branding, logo design, creative, infographic development, digital marketing, creative media planning and buying, radio and TV advertising, website design and development, email marketing, mobile marketing, content marketing, social media marketing, and SEO. To stay up to date on the latest trends in hospitality marketing and advertising, contact MDG Advertising today at 561-338-7797.